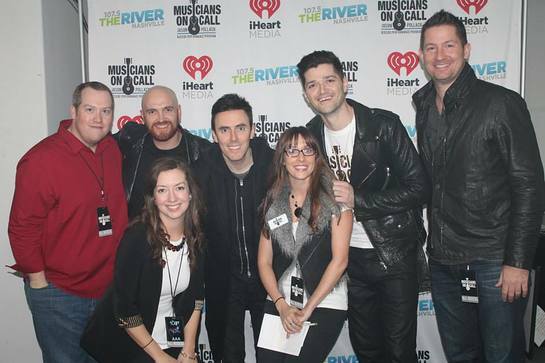 Musicians on Call recently rang in the holidays in Nashville with The Script and honored some of their own Holiday Heroes, volunteer guide Melinda Dale, and volunteer musicians, The Shuggah Pies. The event raised nearly $60,000! Musicians on Call thanks partner 107.5 The River and sponsors: Musicians On Call Jason Pollack Bedside Performance Program, CAA, City National Bank, Grand Ole Opry, and Onsite Workshops.